Goin’ For The Triple Crown! 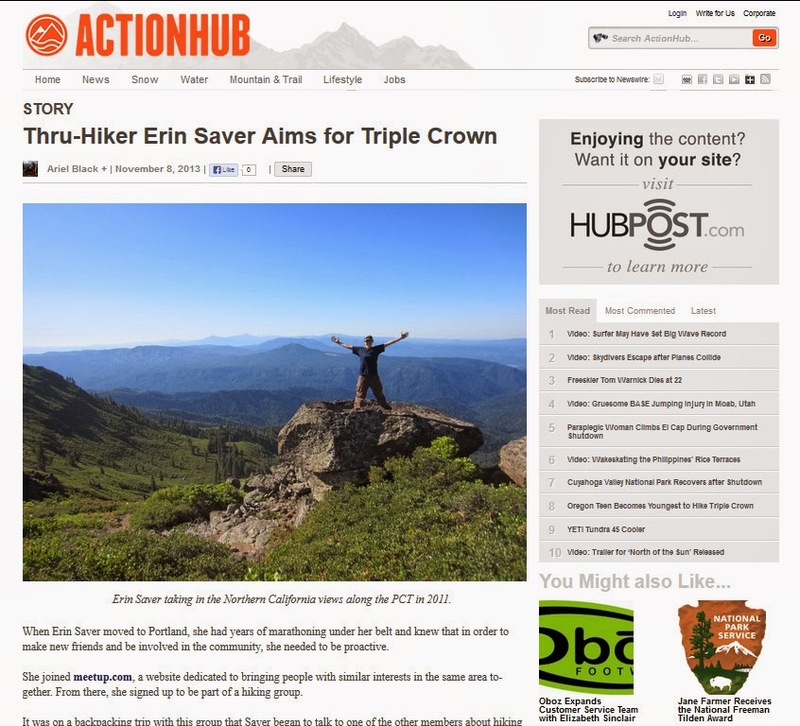 I’m making it official…My hope is to hike the Appalachian Trail this coming season in 2014 and complete my triple crown! I will be posting more details on this in the coming months, but for now I’m excited to make the announcement and share with everyone an interview I did with Actionhub.com. It’s their feature article for the weekend and the writer, Ariel Black, has done a great job of summarizing how I’ve transitioned into the backpacking and blogging world. Very proud of this one and still can’t believe that’s me! Click here to read the full article on Actionhub.com. Here is a screenshot of the article.